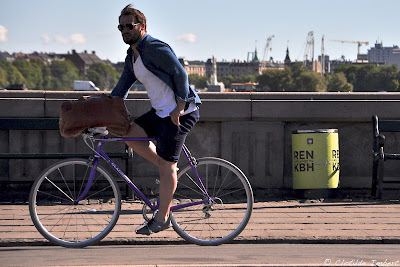 I'm the blogger of Byliv in Copenhague and I'm glad to contribute to Copenhagen Cycle Chic. 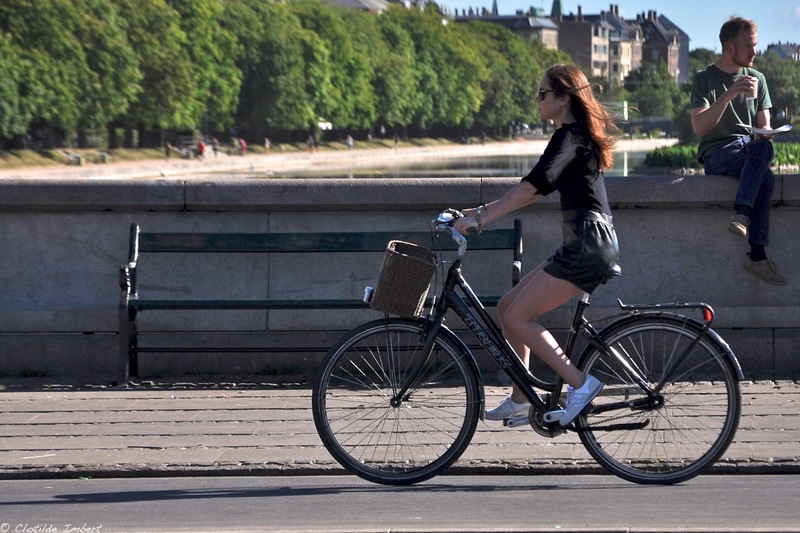 I'm French and after moving from Paris, I enjoy biking everyday in Copenhagen. 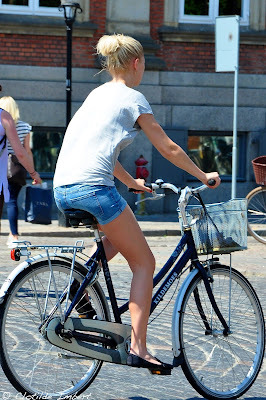 Cyclists do enhance the city ! 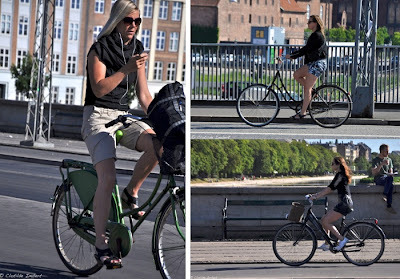 I'll try to capture every week what is trendy to wear when you are cycling in Copenhagen. Find out the result through pictures every Wednesday and share your comments ! Second week of June: shorts - from mini-shorts for the girls to Bermuda shorts for the boys - are the outfit to wear for biking to work or school. Yes, this week is sunny and hot, and Copenhagen is a casual chic city. Salut ! 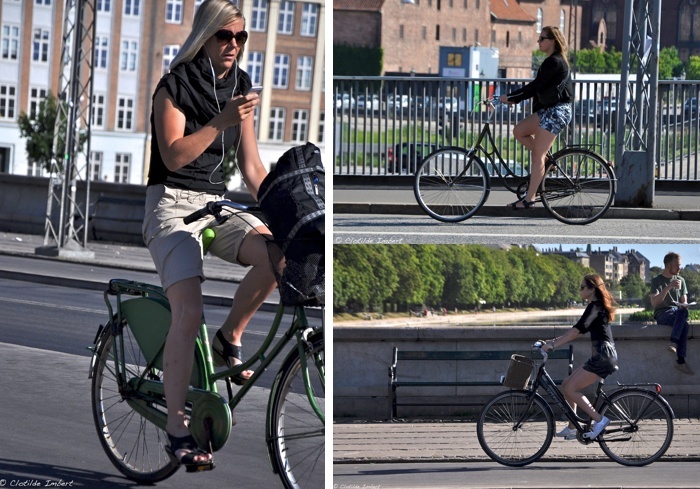 Chouettes photos, on dirait des parisiennes. 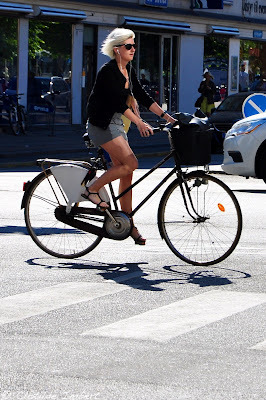 Salut, formidable, ici Strasbourg Cycle Chic ! 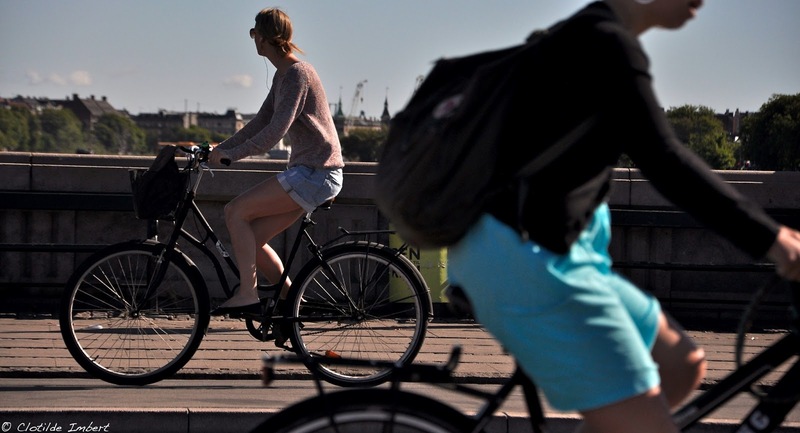 On suivra avec attention les pérégrinations d'un français à CPH.